NEW CARS UNDER $18k. If you are planning to buy a new car and you have a budget of $20,000 or less, it is time to visit the dealership. It is a model with high value and is also very cool. Has a design very well done, highly desirable features and is efficient, since it gets 40 miles per gallon on the highway. Some people say it's cool to be square and is true if it refers to this car. Its design so geometric steals glances but besides that, it has features like folding rear seats that can glide, a good height and a roof design that simulates two concentric circles. Germany is a country full of things peculiarly cool and one of them is Volkswagen. In regard to the latest version of the Jetta captures much of the German spirit that also looks great in America. European consumers have proven that a well made car not need to be very large and that idea is invading the U.S., so Ford decided to bring this model to the American Union, offering a very attractive look, sporting behavior, efficient and a very complete equipment... all for under $18,000. Something cool must be not always so exposed and the Civic is the clearest example of that. Its attributes are read as a good dating profile: Attractive but not flashy, low maintenance and tolerant, willing to make its partner happy in any affair, that's what it is, one of the favorite cars for under $18000 only. Having an attractive car that others had not seen is something cool. This model besides being one of the most sports of the list, comes with a good equipment and sound system to include satellite radio ready, Bluetooth, USB port and iPod docking stations among other things, so this model not only looks good, but also acts very cool, all for under $18000. Fun, flexible and attractive. The Fit remains as an unanimous choice in the list of cool cars and even the version better equipped which is the Fit Sport stays under $18,000. It is on the list for the second consecutive year and is on track to become a favorite. Its European-style and quality interior makes it stand out from other models in its class, in addition to its dynamics driving and fun behavior that impress almost anyone. At some point this model will win an award for its long history in the lists of cool cars, because this is the eighth consecutive year that is present. The Mazda3 has won a place on the list due to its striking appearance, excellent interior and its excellent driving dynamics. Despite that the fans mafia of Hello Kitty believe that beautiful is cool, almost never happen, but that is because the beauty is rarely backed by something more substantial, otherwise to the famous 'Cinquecento' that is attractive not only for its appearance. 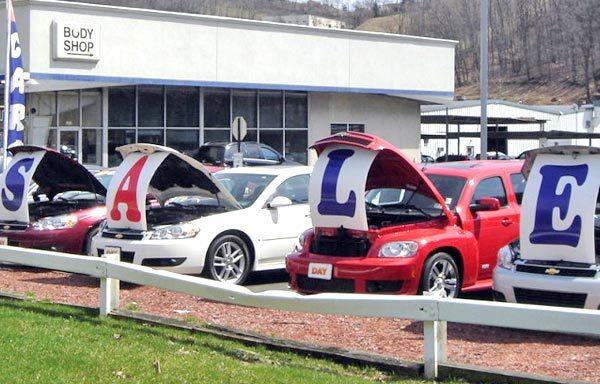 Why sometimes is cheaper to get a new car than a used one? According to Edmunds.com, in its article "Some New Cars Now Cheaper Than Used Cars" the deals on some new cars are so generous they actually make a new car less expensive than both a one-year-old used and certified pre-owned version of the same model. For example, you'll pay more for a hybrid than for a traditional car. But in the long run you will realize that you will save money when filling your tank. Also, used or certified pre-owned cars are generally financed at a higher rate than new cars, a shopper can actually save money by purchasing a new vehicle instead of a used version in some cases. Video - Honda Civic 2012... yes! you can get a new one for as cheap as $18000 or less!